With lengthy commutes and busy lifestyles, your car is the one that definitely takes a beating along with you. And on a daily basis dirt, gunk and rubbish can build up… taking up more time and energy to keep tidy. Fortunately, there are many easy and effective car cleaning hacks which can do wonders for your car. 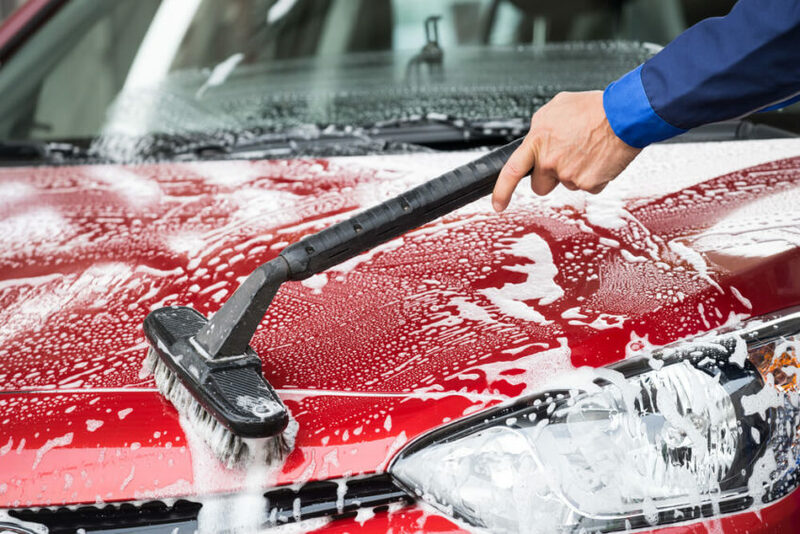 Here we have listed some of the easiest car cleaning tips & tricks to get rid of the toughest stains, odors, and dirt dilemmas to keep your car sparkling. A newspaper is one of the easiest and cheapest tricks to clean the windshield and windows (simply all the glass stuff). Mix one part hot water with one part vinegar. Apply with a spray bottle on the windows and wipe it off with the help of newspapers. Easy! If the windows and windshields are very dirty, then use a solution of liquid soap mixed with this solution to clean it easily. Newspaper can be used to clean any glass window. If your car’s headlights have become dirty and foggy, just use some toothpaste to clean them. If it can fix scratches on DVD and CD, then it can effectively clean car headlights too. All you need to do is using a sponge and a bit of elbow grease, apply the toothpaste and rub in circular motions until the dirt comes off. Take a light cloth and wipe off the toothpaste. And Magic! You have crystal clear headlights in no time. Clean the tiny spaces between the seams and hard to reach places easily with a soft bristled brush. These areas are difficult to access and clean, but a brush easily manages this work. 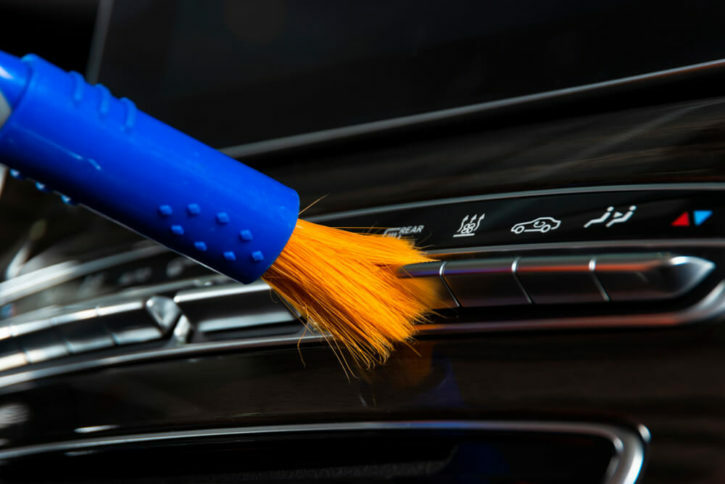 You can also clean the dust on the tight spaces of your car’s seats using a toothbrush. Gently brush the dirt and you’ll have a mess-free car seat in no time! So simple. Isn’t it? You can even use a makeup brush, toothbrush or some other similar brush for this purpose. The first step is to remove all dust and lose debris using a vacuum cleaner. For a thorough cleaning, make a simple but effective homemade cleaner using vinegar. Mix equal parts of vinegar and warm water to make this cleaner. Clean the seat’s upholstery with this mixture. All you need to do is spray this mixture on the seat and then follow up with a dry cloth. It will not only clean the seats but also fade away the foul smell if present. Quick tip: If seat material is leather, don’t let the leather become soaking wet during the process. Vinegar is amazing cleaner, do check out more vinegar cleaning hacks! If your seats don’t need deep cleaning, you would clean it with a vacuum cleaner. Right? Step up your vacuuming with this easy hack. Before heading to clean the seats with a vacuum cleaner, sprinkle some baking soda on it. 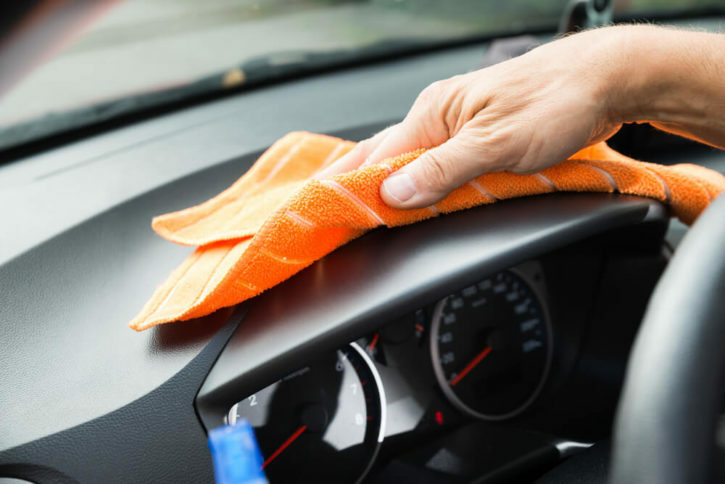 Baking soda eliminates bad odor from the seats and carpets ensuring cleaner and fresher seats. Magic Eraser is an amazing product to clean the stains on leather or vinyl seats. Just get the eraser a bit wet and gently scrub on the stain. It will easily fix the stain. Don’t know what an incredible cleaner magic eraser is? Check out these incredible magic eraser hacks. Keep your car’s dashboard always shining by rubbing some olive oil on it. Take a cloth and put a few drops of olive oil on it and then rub it on the dashboard to give it a shiny finish. It’s time-saving, effective and inexpensive! Clay bar is amazing for deep cleaning the car. You can use a clay bar to easily clean the dust from every part of the car. Just rub a clay bar softly over the area which needs to be cleaned. All the dust particles will stick to the clay because of its sticky nature and you have a squeaking clean car. 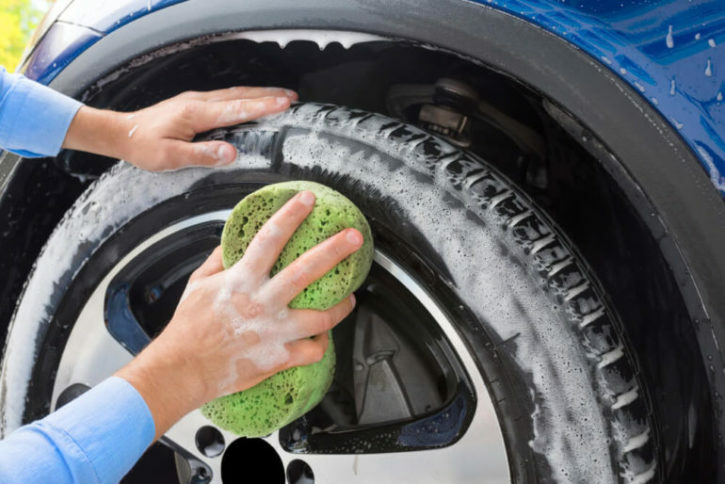 Want your car’s tires to shine like new ones without spending money on expensive cleaners? We have got you covered. Just make a mixture of 1 teaspoon baking soda, 2 teaspoon dishwashing soap, and some warm water. Your homemade tire cleaner is ready! Smear this mixture on the tires to clean them and your work is done! Check out more amazing baking soda cleaning hacks. Get rid of tough stains such as bird poop, blood stains, etc using club soda. Soak the stain in club soda for a few minutes, then blot with a moist cotton towel. The stain will come off easily. Cup holders are one of the most forgotten areas to be cleaned. Is it difficult to clean? Not at all. Just take a coffee cup, wrap an old sock around it and spray some cleaner on it. Then twist and turn the cup in the holder to clean it. So easy! Do the stickers on your car spoil its looks? There is a very easy solution to restore its good look. All you need is a can of WD 40. Just spray some WD 40 on the sticker and let it stay for some time and then peel off the sticker. WD 40 will make it easy to remove the leftover residue behind the stickers too. WD 40 is a must have for every house. You must definitely check these WD 40 Hacks To Solve Hardheaded Problems to know why it’s so good. Use Vaseline for conditioning of interiors of the car such as the seats and the dashboard. It helps in keeping the seats moisturized, thus preventing cracks just like it does for our skin. So time-saving, effective and inexpensive! If you find these cleaning hacks useful, do share the post! Now we hope these tips for cleaning your car were helpful, but if there is something that we didn’t cover for which you’d like to know more about, email us or let us know in the comments below! We’d be glad to answer you.